There are many different reasons that people believe the Moon has the ability to affect Earth, and its weather patterns. The real question however, is are they just myths, or can scientific exploration add weight to our observations. This webpage is laid out into different sections that play a part in answering the basic research question, how do we know if and how the Moon affects the Earth's climate? Through extensive research we found many scientific facts to back up certain reasoning, while shutting eliminating others. The following headings are looking into how the Moon affects the four seasons, storms, polar temperature, tides, and most importantly, climate change. the Sun this is when we have our winter months. A shifting angle of Earth's axis would also impact length of days and temperature as well, making them both inconsistent. As we strive to find ways that the moon is linked to climate change, it is easier to look at certain effects separately. For example, how the Moon can affect a storm? It has been widely known that a Full Moon can amplify a storm, but how can this happen? During both full and new moons, the Sun, the Earth and the Moon all align in a straight line. In turn, this intensifies their gravitational effects on Earth. The Moon's do not directly affect the weather. However, when the tides and weather work together, the situation can be worsened. This will lead to problems on shore, such as the hurricanes and storms we face. The problem is, researchers believe this all happens, but have a hard time proving it. 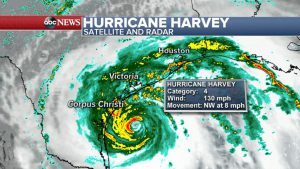 Peter Yaukey, professor at the University of New Orleans, analyzed hurricanes that occurred between 1950 and 2007.2 Peter was able to conclude that hurricanes form and intensify more often following a new moon, than they do during other phases of the lunar cycle. To be exact, the intensification was 49% more than at any other time in the cycle.3 He found that when the moon crosses the equator heading north, it means that the storm will stop its westward motion, and begin heading north. An example of this happening is Hurricane Harvey. More evidence has since been found suggesting that rain follows the full and new phases of the moon. Calculations were done to find the Moon’s phase for each measurement and it was discovered that there is a slight increase in stream flow around the quarter moon, halfway between the full and new moons. Some believed this was just farmers’ wisdom. In order to link this, the researchers used a database with daily precipitation information for more than 1200 stations, beginning as early as 1895.4 This showed that the farmers’ wisdom was correct. Perhaps these are only small linkage, that in the big picture do not completely have an effect on storms. But, there is enough research to show there is in fact some sort of linkage between the Moon, and storms. Explaining the effect that the Moon can have on polar temperature can be difficult because the contributions that the Moon has are truly minimal. The infrared energy received on the Earth from the Moon is .00005 times that of the Sun.5 Other studies performed did show a difference the Moon has toward temperature from a full to half moon5. Climate forcing pertains to the difference in energy or radiation of the sun's rays absorbed by earth and the energy that is radiated back into space. This has some effect on the temperature of the Earth because of the constantly radiating heats waves traveling through the atmosphere warming it. 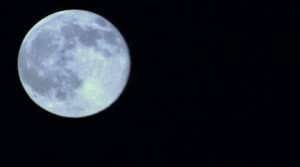 Does the Moon Affect Climate Change? Recently, global warming has occurred at a rate much higher than typical over the Earth’s history. Contrast to that, the Moon has been receding at a constant rate of about 4 centimeters per year, and the rate has only increased over geologic time scales.9 The lack of consistency between the Earth’s warming and the Moons receding rate is evidence that the recession of the Moon’s orbit is not a direct factor when considering climate change. However, recession of the Moon transfers an estimated three terawatts to Earth in the form of energy dissipation by the friction between ocean tides and the Earth.9 It is suggested that nearly 30% of this entire tidal energy system may be distributed in deep oceans that help sustain ocean currents. 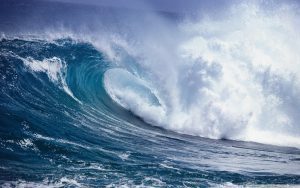 Because both deep ocean and surface currents are important drivers for climate change, the recession of the Moon may be an important key to the stability of the climate.9 Even though the Moon may not be directly contributing to global warming, the recession of its orbit may assist in driving climate change over the long term. In terms of climate change, it was discovered that in the short term, the moon does not have a major impact. 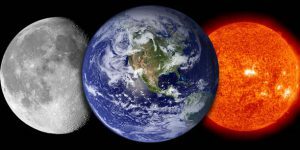 However, the moon affects the seasons by keeping the earth’s axis at a constant rate which affects our climate. Storms are intensified by the moon, and tidal waves are impacted from the moon that can change the Earth’s temperature. The moon may not promptly cause climate change, but it can impact the Earth’s weather systems, and it may impact climate change long term. Ask an Astronomer. Is Earth-moon tidal friction causing global warming? (Intermediate). July 18, 2015. http://curious.astro.cornell.edu/about-us/37-our-solar-system/the-moon/the-moon-and-the-earth/30-is-earth-moon-tidal-friction-causing-global-warming-intermediate. Bryne, Kevin. What effects can the full moon have on weather, people and animals? . July 23, 2016. https://www.accuweather.com/en/weather-news/do-full-moons-affect-weather-p/40127763. Gaughan, Richard. The Moon's Effect on the Seasons. January 30, 2018. https://sciencing.com/moons-effect-seasons-22257.html . Minogue, Kirsten. Folklore Confirmed: The Moon's Phase Affects Rainfall . October 6, 2010. http://www.sciencemag.org/news/2010/10/folklore-confirmed-moons-phase-affects-rainfall. National Geographic. Hurricane Sandy: Why Full Moon Makes "Frankenstorm" More Monstrous . October 30, 2012. https://news.nationalgeographic.com/news/2012/10/121029-hurricane-sandy-path-storm-surge-full-moon-nation-weather-science/. Fenton, John. Coastal and Ocean Engineering. Physical properties of seawater. January 11, 2013. http://johndfenton.com/Lectures/Coastal-and-Ocean-Engineering/Coastal-and-Ocean.pdf. Science Frontiers. How can the moon affect the earth's temperature? . August 1995. http://www.science-frontiers.com/sf100/sf100g11.htm.